Objective: Fungi are the main source of aflatoxin contamination in nature. The present study aimed to assess the role of the cosmopolitan mosquito species, Culex pipiens, in the circulation and dissemination of pathogenic fungi in nature, and to evaluate its capability to harbor these fungi. Materials and Methods: Fungi were isolated and identified from both, the external surface and the internal organs of the developmental stages and from the breeding environment of Cx. pipiens. Results: A total of 35 fungal isolates were isolated from both, the internal organs and the external surface of the developmental stages and from the breeding environment of Cx. pipiens. These isolates were identified as eleven Penicillium notatum isolates, eleven Aspergillus flavus isolates, six Rhizopus stolonifer isolates, four Candida albicans isolates, two Fusarium solani isolates, and one Aspergillus niger isolate. Antagonistic activity showed that the P. notatum growth inhibited the growth of the bacteria, Staphylococcus aureus. Conclusion: This study revealed that the different developmental stages of Cx. pipiens mosquito were capable of harboring many fungal species. Subsequently, this mosquito will be incriminated in the mechanical dissemination, circulation, and transmission of these fungi in nature, during its life cycle. Objective: Digit and extremity amputations are unwanted complications in burn injuries. Although some amputations cause only cosmetic and psychological problems in burn patients, they can lead to serious loss in functionality and impairment in the quality of life. 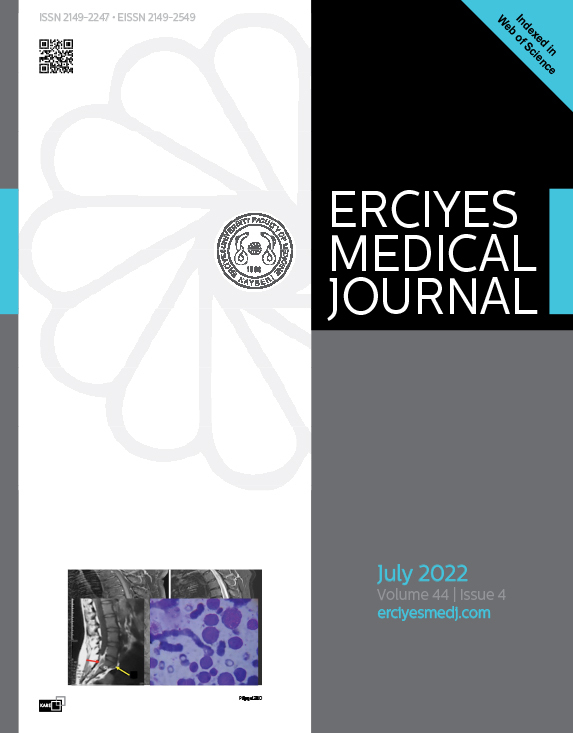 The aim of this study was to investigate the epidemiologic features of amputations among burn patients in the southeastern region of Turkey. Results: A total of 3315 (2063 male and 1252 female) patients were treated, and 41 patients (36 males and 5 females) with a mean age of 21.95 years (range: 3-58 years) underwent amputation. The amputation incidence was 1.23% over the 5-year period. In total, 19 of 41 patients were under 16 years, while 16 were male workers. There was a significant male dominance (p<0.05), with electrical burns being the most common etiological agent (p<0.001). The mean burned total body surface area was 12.4±7.9% (range: 2-60%), and major amputations were significantly higher (p<0.05) if the area exceeded 10%. Conclusion: Electrical burns were the most common etiological factor, and pediatric patients were the most affected group. Educating parents and taking safety measures for protecting children from electrical contact points are as important as educating workers for diminishing the incidence of electrical burn-related amputations. 4. Clinical and Cytogenetic Evaluations of Patients with Turner Syndrome: Are We Aware Enough? 5. An Important Question That Needs to Be Proved: Is There Any Relationship between the Epicardial Fat Thickness and the Coronary Artery Complexity in Patients with Acute Non-ST Elevation Myocardial Infarction? Objective: In this study, we aimed to investigate the association of epicardial fat thickness (EFT) and coronary artery lesion complexity with patients having acute non-ST elevation myocardial infarction (NSTEMI). Materials and Methods: The patients (n=328) were divided into low syntax score (SS) group (SS≤17; Low-SSG), intermediate SS group (SS=18-28; In-SSG), and high SS group (SS≥29; High-SSG) based on the SS value. EFT, SS, distributions of the critical coronary artery lesions, and the neutrophil-lymphocyte ratio (NLR) were determined for all the groups. EFT was measured by transthoracic echocardiography and was recorded on a digital storage device. Results: High-SSG had a significantly higher mean of EFT (6.65±0.82 mm) when compared to Low-SSG (5.12±1.13 mm) and In-SSG (5.79±0.83 mm) (p<0.001). EFT showed a significant positive correlation with SS (r=0.607, p<0.001). Further, a significant positive correlation was revealed with the distributions of critical coronary artery lesions of the left anterior descending (LAD), circumflex artery (Cx), and right coronary artery (RCA) (r=0.260, p<0.001; r=0.213, p=0.001; and r=0.275, p<0.001, respectively). However, no correlation was demonstrated between EFT and NLR (r=0.081, p=0.145) in patients with NSTEMI. Conclusion: These results showed that EFT is significantly associated with coronary artery lesion complexity in patients with NSTEMI and can work as a risk marker in these patients. Objective: Insect immune system has a potent arsenal of antimicrobial peptides (AMPs) that cooperate to clear microbial invasions. Here we aimed to explore the immune response of Musca domestica larvae when bacterially challenged and pick up induced antibacterial genes. These genes can be used in the production of novel antibiotics to compensate for the increasing demand of antibiotics in the era of resistant bacterial strains. Materials and Methods: Hemolymph and whole body of third instar larvae were collected at 2-h intervals for 24 h postinfection. Integer and pure total RNA were transcribed into cDNA. Differential display technique was used to identify differentially expressed genes. Ten reproducible bacterial-induced bands were sequenced. Sequenced DNA fragments were deposited in GenBank under KM205630 and Hl205631 accession numbers. specific amino acid residues was observed. Conclusion: Our findings suggested that MdDipWB and MdDipHL are two isoforms of the same gene. Ectopic thyroid is considered as one of the developmental anomalies of the thyroid gland. It is usually found in the midline, along the line of descent of thyroid diverticulum. Ectopic thyroid is very rarely found in the lateral part of the neck. Duringthe routine dissection classes for undergraduate medical students, we came across the presence of a laterally placed ectopic thyroid gland. An oval-shaped mass of thyroid tissue was situated on the left side of the neck. It was located superficial to the inferior constrictor muscle, close to its origin from the oblique line of the thyroid cartilage. It was supplied by a branch of superior thyroid artery. Superior thyroid artery arose from the common carotid artery just before its bifurcation into external and internal carotid arteries.